Dozens gathered at the Cove Community Building Monday night to hear from area civic leaders on how the redistricting of voting zones would affect them. 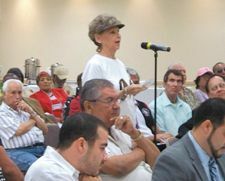 The meeting was the last of three held on Monday, with two more being held in Anahuac and Winnie, so that constituents would have the opportunity to ask questions and become better acquainted with the process. Approximately 40 attended the Anahuac meeting, and around 20 did the same in Winnie. Chambers County Judge Jimmy Sylvia opened the meeting, and was followed by Robert Bass of Allison, Bass and Associates, an Austin law firm hired by the county to make sure the process was completed legally. Bass explained that the redistricting process dates back to 1789 and is mandated by the Constitution, to ensure that all voting areas are represented fairly and in proportion to all others. Bass further explained that the Department of Justice has to pre-clear any redistricting plans as stated in the Voting Rights Act of 1964, which was designed to address discrimination in the voting process that at one time excluded minorities. The current plans on the table were based around information provided by the 2010 Census. The numbers show that of those who responded to the Census, 7,099 live in Precinct 1, 5,952 in Precinct 2, 10,919 in Precinct 3 and 11,126 in Precinct 4, numbers that show discrepancies in representation. The data also indicates that there has been some shifting in ethnic population. While Caucasian and African-American totals have declined somewhat, the Hispanic population has increased. Bass added that sampling of data can be used to make up for those who did not respond to the Census, which makes the numbers somewhat inexact. “Is it spot-on accurate? No,” said Bass. “But it’s the only measurement we have that the courts accept. but I lean toward Plan 4,” Huddleston said. District Clerk Patty Henry was also in support of this plan. “I can say that I live in Anahuac, but not within the city,” Henry said. “With Proposition 4 I will be in a different precinct, but it doesn’t really matter to me if I have to go a little extra. Whatever plan is decided upon will go to the Department of Justice for review. It’s been ten years since the Special Needs Rodeo kicked off in the Baytown area. And once again, the roundup has begun for local youngsters to sign up to participate. Rodeo Association president J.R. Miller encourages all those interested to get their name on the roster now. “I would urge participants in this annual fun day to register now in order to be guaranteed a Rodeo T-shirt,” Miller said. “There is no charge for this event; to sign up they can just go to the Baytown Special Rodeo website at www.specialrodeo.com and complete a registration form. Volunteers may also register at this site, Miller said. Parents and siblings of the youngsters are also invited to participate in the day’s activities, which include riding horses provided by Baytown’s Rocking Horse Riders, games and activities, dancing with Elvis, wagon rides, a petting zoo, a hamburger and hot dog lunch and much more. Those who want to contribute in another way can support the organization at a garage sale, to be held from 7:30 a.m. to 2 p.m. Aug. 27 at 7501 Bayway Drive in Baytown. The event will be held from 10 a.m. to 2 p.m. Sept. 10 at Eastside Honda in Mont Belvieu, located at 12527 Interstate 10 East. For more information, call 713-453-8511 or 281-773-5513, or emailwwalter420@yahoo.com. PCT. 2, PASADENA Harris County held the first of four public meetings last Monday night, so that citizens could voice their opinions on the new redistricting boundaries proposed for adoption by the county commissioners. The meeting was hosted by Pct. 2 Commissioner Jack Morman, but the meeting was conducted by Doug Ray and Gene Locke from the law firm of Andrews Kurth LLP, Harris County Asst. Attorney Terry ORourke, and Professor Richard Murray of the University of Houston. On display were maps depicting current and projected boundaries for the County precincts. Handouts and a slide show also reviewed legal criteria for the redistricting effort, as well as goals that the County Commissioners had set for the work. As explained by Locke and Murray, the maps had to adjust for a 20% increase in Harris County population from year 2000 to 2010, according to the census. The problem was that most of the growth was in Precincts 3 and 4 to the west, but voting law requires all precincts to be relatively equal in size, within 10% of each other. Other important requirements were that minorities must not be discriminated against, and the 14th Amendment provision prohibiting race-predominant decision making must be observed. The resultant map takes territory from Precinct 1 and adds it to Precinct 2, while on the western edge Precincts 3 and 4 give up voting precincts to Precint 1 to make up the difference. The resulting proposed plan, labeled A-1, shows equal sized precincts, within 5% of each other. However, the public speakers had several concerns and objections they voiced. The first speaker was State Senator Mario Gallegos, a veteran lawmaker familiar with drawing voting districts. He strongly objected to this map, saying it did not respect or preserve Hispanic communities and diluted the Minority Opportunity district that was originally the intent of Precinct 2 when drawn in year 2000. He also questioned whether the boundaries respected the Department of Justices criteria for a compact district. He said the configuration was highly gerrymandered and would not survive a court challenge for this and other reasons. However, he urged the authorities to work on a revised map, and not let the courts decide for the voters. Precinct 2 boundaries have been extended to include Kingwood, Atascocita, Huffman, Crosby, and areas in the Aldine district. This took voting precincts from Jerry Eversoles Pct. 4, and El Franco Lees Pct. 1. About 300 persons attended the two hour meeting, and when asked for comments, about 40 people spoke for up to the allowed three minutes. Although there were some supporters of the map boundaries, most of the comments were against it. A number of persons from the Highlands area were present for the comment session, including Betty Michalsky, Carl Cooper, and several more from McNair and Barrett. Michalskys concern was how the realignment might affect the Pct. 2 budget and whether ongoing programs would lose some of their funding or not. Some of the objections to the map were because although the Hispanic population held a 57% majority in Pct. 2, the voting age population was only 52%, low enough that the Precinct might lose its minority opportunity status. The other major objection was that the combining of voting precincts from Kingwood to Clear Lake did not create a required compact district, and also combined voters with dissimilar interest and lifestyles. The meeting was a requirement to meet federal voting rights laws, according to Locke. There will be three other meetings this week, one in each precinct. Scheduled for Precinct 1 is a meeting at 7 pm on Wednesday, July 27 at the Cavalcade office. Pct. 4s meeting is Friday, July 29 at 6 pm at the Mangum-Howell Center, and Pct. 3s meeting is Monday, August 1 at 4:30 pm at the Sosa Community Center. After the meetings, Commissioners will decide to modify or adopt the maps. CROSBY  Currently, U.S. 90s only access to FM 2100 from the eastbound direction is a 1/4 mile North of Runneburg Roads Overpass, last week information came that a new plan for an off-ramp where the on-ramp is and a new on-ramp where the last entrance to Friendly Ford exists is proposed. 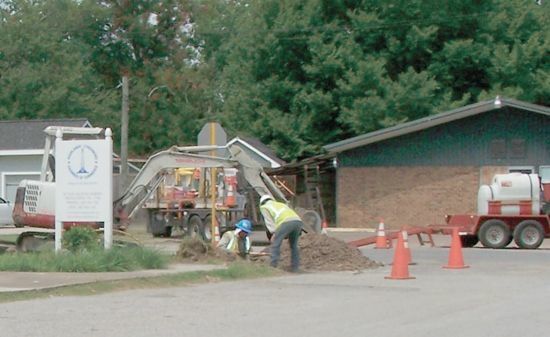 Businesses in the Crosby area have been concerned that neighbors from the northeast did not have rapid enough access to Main Street in Crosby and there has been more than a little discussion of this within the membership of the Crosby/Huffman Chamber of Commerce as a desirable and economically beneficial access. The new off ramp puts traffic off U.S. 90 in time to turn at FM 2100 for all of the businesses at the U.S. 90 and FM 2100 interchange. The Overpass of FM 2100 at the railroad tracks between Kernohan St. and Live Oak Dr. has been delayed again this time due to seeking a company that can build it. It seems FM 2100 traffic will still be stalled at the railroad tracks for a little while longer but the project is still to be constructed as proposed. Construction continues on the Grand Parkway, and a hearing will be held Aug. 9 in Mont Belvieu as an opportunity for residents to hear about and discuss the environmental impact of Segments H and I-1. The Grand Parkway is made up of 11 segments, which traverse the greater Houston area. The two segments in question, H and I-1, will eventually become part of a four-lane toll road, stretching the area from Highway 59 to Interstate 10, generally between FM 2100 and Highway 146 in Montgomery, Harris, Liberty and Chambers Counties. The project study area includes both Mont Belvieu and Dayton locally, as well as New Caney. Up for consideration is an alternative route to the previously planned roadway. This plan would bring the roadway on a more centralized path through the Mont Belvieu area. The hearing will be held at 7 p.m. Tuesday, Aug. 9 at Barbers Hill High School, located at 9600 Eagle Drive in Mont Belvieu. For more information, call 713-802-5072 or see the Grand Parkway Web site at www.grandpkwy.com. The West Chambers County Chamber of Commerce is offering a night of fun and luxury August 18 at the Royal Purple Raceway Ranch. The “Denim, Diamonds and Divas” fundraiser  the fifth of its kind for the Chamber — aims to let local women get together for pampering in the form of massages and makeovers, and shopping at booths served by local vendors  and serves also as a fundraiser for the Chamber. “This is an opportunity to network, but its also an evening to laugh with your co-workers and firm up friendships,” said Missy Malechek, West Chambers County Chamber President. There are massages to be had, along with artificial eyelashes and specialty hair and makeup  not to mention the tattoos, which Malechek assures are temporary. Malechek said with a laugh. Shoppers will find a wide variety of unique jewelry, shoes, and home décor items, along with clothing and other surprises. Malechek said that the chamber seeks out local vendors first, so buying something there also means supporting local business. Also featured will be a raffle for weekend getaways and a silent auction, with items handpicked by Malechek and her crew. “With the auction items, we always try to make sure its something we would want in our own homes,” Malechek said. And those who attend wont want to eat ahead of time, as several buffets will be on hand. One of Malecheks favorite features of the annual fundraiser is the fact that almost everyone who attends dresses for the occasion. This years theme, “Denim, Diamonds and Divas,” lends itself to plenty of blue jeans and tiaras. “Its always fun to see what people will be wearing,” Malechek said. Congressman Ron Paul, representative for much of the Barbers Hill area, announced recently that he will be giving up his seat in the 14th Congressional District, leaving a wide-open race and numerous hopefuls vying for the opportunity. Paul, a veteran, medical doctor and author, served five terms in the House of Representatives, retiring briefly in 1984. He made his first bid for the presidency in 1988 on the Libertarian ticket, and then came back to Congress in 1996. He was a brief contender for the Republican nomination in 2004. Potentially affecting Pauls decision is a congressional redistricting that would split up Pauls District 14 into new districts, which would in turn take away some of his primary constituent support. The new plan would effectively create a district similar to one that existed in the 1990s. Considering a run for Pauls seat are Democratic Rep. Nick Lampson, former representative Steve Stockman, and Galveston Mayor Joe Jaworski. Also in the running are Libertarians Bob Smither, Amy Jacobellis and Eugene Flynn. 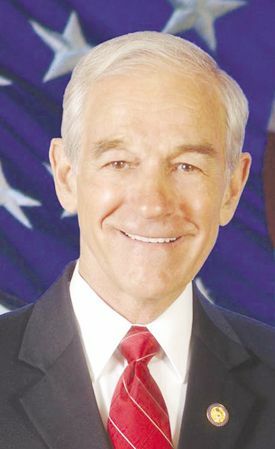 For more information, visit www.Ronpaul2012.net. NORTHEAST HARRIS COUNTY  The most changed area in Texas following redistricting is here. The most change in representation is for northeast Harris County and the changes will be effective beginning at the next election and probably last for decades. A public hearing is to be held Monday, July 25 at 6:30 p.m. in the East Harris County Activity Center7340 Spencer Highway, Pasadena, Texas 77505 For more information call (713) 755-6220 or (281) 479-4232 to discuss re-drawing Harris County Precincts. Northeast Harris County will now be within Precinct 2 seated in Pasadena. Jerry Eversoles District will shrink from 1.12 million folks to 1.02 million. Jack Mormons Precinct 2 will expand all over the East of Houston and shrink in population. It will be called the slower growing district by the City of Houston and remain a majority Hispanic District. U.S House of Representatives 2nd Congressional District, Ted Poes District once stretched from Beaumont to Tomball now it is a tiny area inside Houston and includes most of Huffman but not Highlands and Crosby. Of four new congressional seats in Texas a new district that willl include most of Poes seat up to the San Jacinto River will be call U.S. Congressional District 36 whenthe 113 Congress convenes in 2013. Poe will keep all of Newport, the subdivision just East of itself and Huffman.Poe keeps West of Peters Rd. to Ramsey Road but East of that is within District 36 East of FM 2100 within Crosby proper is within the new district. Poes new district now ends at Jones Rd. in West Houston and begins to encompass all of Huffman North of Stroker Rd. The new district 36 runs as far south as NASA Rd. 1. and East to Beaumont outside the Baytown area. Follow the railroad tracks North in Crosby, they divide the Poes district from the new district. Overall Harris County will lose one U.S. Congressional seat from 25 to 24. In the State House of Representatives Crosby can say hello to District 128 and Wayne Smith of Baytown and Deer Park and the Houston Ship Channel and farewell to Dan Huberty. Most of Huffman remains within Dan Hubertys repersentation except where the High School is located and some of the most easterly parts. In northern Crosby Huberty keeps the western end of Spanish Cove, North of Stroker. Those easterly parts down to Barrett Station go to Wayne Smiths 128th District and runs south to Spenser Highway, includes La Porte but Barrett Station is now within District 142, connected by the keenest Gerrymander line yet. District 128 resumes again after Barrett Station. Highlands is busted into two state representative district right down FM 2100 West of FM 2100 goes to Pasadenas District 144 while the easterly rest of Highlands generally goes to District 128. 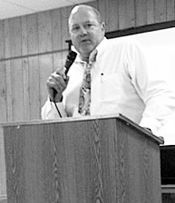 Ken Jones, Precinct 3 Constable, will address the Crosby/Huffman Chamber of Commerce concerning redistricting begining at 11:30 p.m. at American Legion Hall 648 in Crosby on Thursday. CROSBY  The Crosby-Huffman Chamber of Commerce is moving toward new organizational direction by changing name of President of Board of Director to Chairman of the Board of Directors and hiring a paid President. 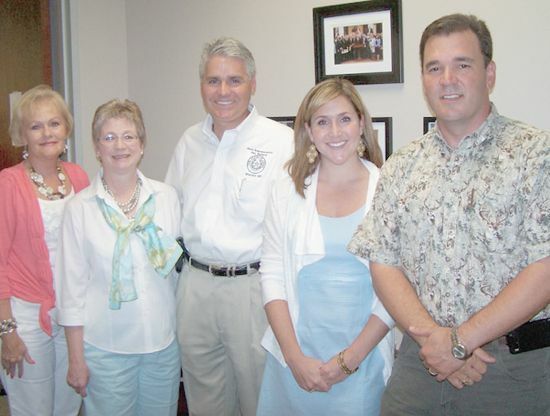 The Crosby/Huffman Chamber of Commerce has embarked upon new ventures to meet the highest standards for community service and is in the process of developing a new marketing program. The new President will be visiting businesses in the surrounding areas and especially the Crosby/Huffman areas to inform potential members of neworking opportunities and marketing potentials with the Crosby/Huffman Chamber of Commerce. Glenda Logsdon-President, is hired by, and responsible to, the Chambers Board of Directors, and is responsible for the day to day management of the Chambers functions carrying out policies and procedures established by the Board of Directors. Glenda will be focusing on membership as one of the main goals the board decided to move to the new position. Julie Gilbert-maintains her current position as Chairman of the Board of Directors held since January 2010. Please also say something to the effect that Glenda will be visiting all the businesses in the Crosby-Huffman community and eventually reaching businesses outside of the Crosby-Huffman area. HIGHLANDS A Water Main burst on Prairie St. here last Saturday. H.C. WCID#1, the water supplier for Highlands, issued a boil water warning to residents, the problem has been remedied now. When a boil water warning is issued residents should bil water to be consumed for just over 2 minutes allow it to cool before drinking. Water mains have been erupting throughout Texas due to the extended heat with little rain according to Texas Commission on Environmental Quality. That entity requires that when water pressure falls below 20 lbs. per square inch that the water companies issue boil water warnings. There was a small rain on Satuday morning but the manager of Highlands water said he did not know if the incident of the rain had anything to do with the rupture. According to Mark Taylor of HCWCID#1, On July 16, 2011, the Texas Commission on Environmental Quality (TCEQ) required Harris County WCID #1 the Public Water Supplier for Highlands Texas, (PWS # 1010159) to issue a Boil Water Notice (BWN) to inform our customers that due to the presence of contaminants or an interruption in service, water from our system must be boiled prior to consumption. Our system has taken the necessary corrective actions to restore adequate pressure, disinfectant levels, and/or bacteriological quality and has provided TCEQ with testing results that indicate that the water no longer requires boiling. 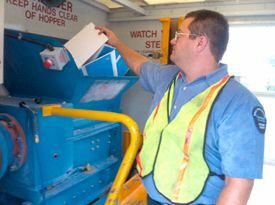 Monday morning Taylor took the samples to the TCEQ labratories for examination, the exam is an 18 hour process. Highlands purchases 80% of its water from the City of Baytowns Water service and about 20% from local aquifers. The water from Baytown ultimately comes from the Trinity River and the well water from the San Jacinto River. 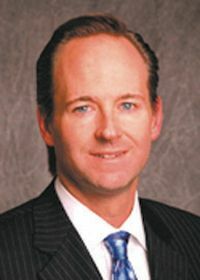 AUSTIN Representative Craig Eiland (D-Galveston) was named to Capitol Insides All-Decade Legislative Team for the 2000s. Each legislative session Capitol Inside names the best legislators. This year they named the best legislators for the decade. Representative Eiland was placed on the House Team for the 2000s. Representative Eiland has served in the Texas State Legislature since 1995. This session he served on House Appropriations and House Insurance. These two committees were hotbeds of activity this session with the devastating budget short fall and the reform of the Texas Windstorm Insurance Association. Eiland says, This job requires me to be away from home quite a bit and I couldnt have done it without the support of my wife and children.